Tips and tricks on how to combat the Centipede Monks in Sekiro: Shadows Die Twice. In Sekiro: Shadows Die Twice, there’s no shortage of challenging enemies to defeat, including the Centipede Monks. As with most combat encounters in Sekiro: Shadows Die Twice, you’ll need to use a bit of deductive reasoning to determine your enemy’s weakness, and what style of attack will be most effective. For the Centipede Monks, the key to defeating them lies with the Mortal Blade. Confused? We’ve got you covered! Below, we’ve put together a guide on how to defeat the Centipede Monks in Sekiro: Shadows Die Twice. To defeat the Centipede Monks in Sekiro: Shadows Die Twice, you'll need to first acquire the Mortal Blade in Senpou Temple. The Centipede Monks are an enemy you encounter inside the Main Hall of Senpou Temple in Sekiro: Shadows Die Twice. To access this area, you’ll want to work your way through the Abandoned Dungeon. Early on in your journey through Senpou Temple, you’ll encounter regular monks that you can fight and defeat without too much effort. However, the Centipede Monks are different than these monks in that regular attacks don’t appear to phase them. To bring down the Centipede Monks, you’ll need to have the Mortal Blade on hand. Fortunately, you shouldn’t have to do too much backtracking to get the Mortal Blade in that it’s also located within Senpou Temple. For more on how to get the Mortal Blade in Sekiro: Shadows Die Twice, be sure to check out our previous guide. Once you have the Mortal Blade, you’ll be able to defeat the Centipede Monks. While fighting against the Centipede Monks, attack them and whittle away their health until you spot a red indicator near the Centipede Monk. Once you kill them normally, another red deathblow marker will appear to let you use the Mortal Blade. Attack and perform a Deathblow when prompted at this time to fully defeat the Centipede Monk. And that’s all there is to it. 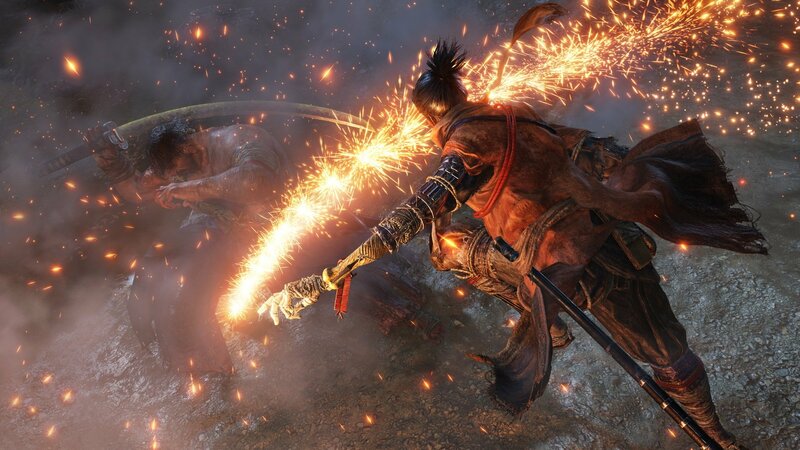 With the Mortal Blade, you should have no trouble defeating the Centipede Monks in Sekiro: Shadows Die Twice. To get the Mortal Blade, explore Senpou Temple and defeat the Folding Screen Monkeys as noted in our previous guide. For a visual guide on defeating the Centipede Monks in Sekiro: Shadows Die Twice, be sure to check out the helpful video below courtesy of YouTube user RabidRetrospectGames. Now that you know how to defeat the Centipede Monks in Sekiro: Shadows Die Twice, be sure to check out some of our previous guides including where to find Snap Seeds in Sekiro: Shadows Die Twice, all Treasure Carp Scale locations in Sekiro: Shadows Die Twice, and how to dive underwater in Sekiro: Shadows Die Twice.